Grant was really helpful in discussing my needs and making some recommendations and suggestions. Delivery was good and when I needed something urgently it arrived really quickly. All I can say is Thanks Grant and recommend anyone looking for solar equipment give them a call. ​The AN tracer models have a current limiting function, you can connect twice the rated power to the controller ​so if your on a budget you can use a smaller controller with more panels so that you get more power in winter or low light but don't risk overloading the controller in the summer. The output will be limited to the max listed above. Tracer AN series controller, based on multiphase synchronous rectification technology (MSRT) and advanced MPPT control algorithm, with dual-core processor architecture and common negative design, has the features of high response speed, high reliability, and high industrial standard. MSRT can guarantee very high conversion efficiency in any charge power, which sharply improves the energy efficiency of solar system; Advanced MPPT control algorithm minimize the maximum power point loss rate and loss time, to ensure the tracking efficiency, corresponding speed as well as high conversion efficiency under high or low power, so that in any situation, Tracer AN products can rapidly track the maximum power point (MPP) of PV array to obtain the maximum energy of the panel. 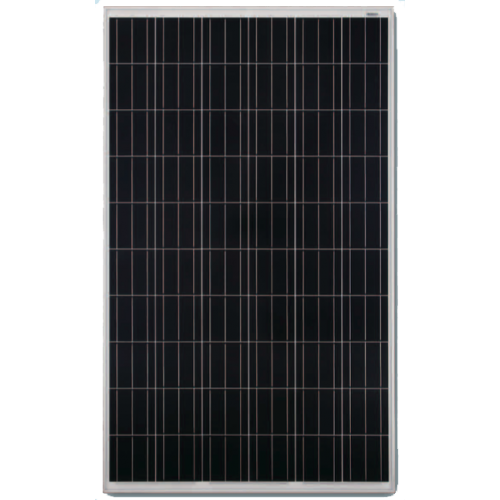 The limitation function of the charging power and current and automatic power reduction function fully ensure the stability when works with oversize PV modules and operate under high temperature environment. With the adaptive three-stage charging mode based on digital control circuit, Tracer AN series controllers can effectively prolong the life-cycle of battery and significantly improve the system performance. The load, utility or generator auto-control relays make it easy to compose the hybrid power system. All-around electronic protections, including overcharging, over discharging, and PV reverse polarity protection, effectively ensure the safer and more reliable operation of the solar system for a longer service time. The isolated RS485 interface with standard MODBUS communication protocol and 5V power supply makes it easy for customer to expand the application, Support up to 8 charging in parallel to expand system and meet with different monitoring requirements, so that can be widely used for various applications, e.g. solar RV, household system and field monitoring, etc. The wider range of MPP operating voltage. Auto control system to limit the charging power & current go over the rated value. Support 4 charging options: Sealed, Gel, Flooded and User. The first and the second disconnection of load control, contain two relay’s contact. To monitor or set the parameters by using the phone Apps or PC software. 3The maximum PV open circuit voltage must never exceed 138V or 180V at 25°C environment temperature. A pair of 2mm stainless steel (316L) solar panel brackets designed with canalboats and vehicles in mind, supplied with marine standard cable glands and anti tamper bolts & bit. Allow your solar panels to both tilt and swivel throughout the year, maximising the sun's energy whilst providing excellent ventilation. This can improve the power of your panels by up to 40%, perfect for smaller systems where efficiency is key. *Standing at just over 25cm high and 16cm wide they're designed to maximise the angle of your panels whilst being low enough for most bridges and tunnels. Using any padlock attach your panel securely to the roof via an integrated 8mm stainless steel chain that secures directly to the bracket, keeping your panels safe. The anti tamper bolts secure the bracket to your roof for maximum security deterring even the most determined of thieves. Using M10 for both bolts and glands means you only need to drill six identical holes, saving both time and money on tools or labour whilst providing a safe and secure mounting solution. A tool kit with everything you need for a waterproof and secure installation supplied separately, select the tool kit option to purchase this as well. 2 top spec cobalt drill bits and M10 tap and ratchet allow quick and easy installation with even the toughest steel roof. Supplied with marine sealant and instructions, a secure and waterproof installation can be done in as little as 4 hours. Save yourself hours of drilling! Get our essential toolkit for installing the boat swivel mounts!